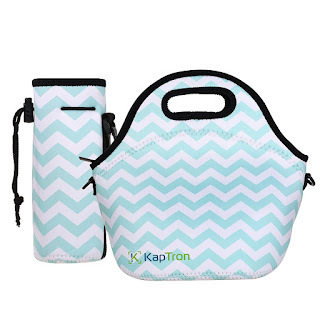 Right now over at Amazon.com you can score this Kaptron Neoprene Lunch Bag with Shoulder Straps and Bottle Holder for only $8.99 when you use promo code 40OFFLBW at checkout! This roomy lunch bag is insulated with neoprene allowing it to keep food hot or cold for 2-4 hours. It's stain-resistant, PVC- and lead-free and is even machine washable for easy care. Plus, it comes with a 100% money back guarantee!